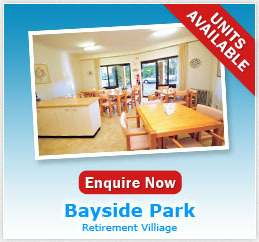 Bayside Park is situated in Blakehurst, approximately 20km south west of Sydney CBD. 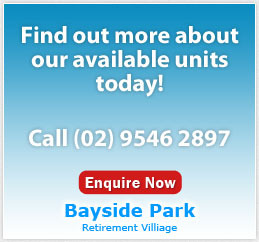 Blakehurst’s eastern border runs along picturesque Kogarah Bay and the western border runs along Kyle Bay. 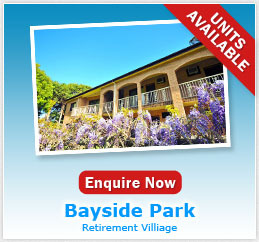 Bayside Park Village is a short flat walk to beautiful Kogarah Bay and overlooks Todd Park. 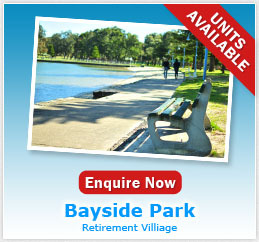 Carss Bush Park is also within walking distance with an Olympic swimming pool, freshwater baths and bicycle tracks. Southgate Shopping Centre is just 3.5km away and offers major supermarkets and department stores along with approximately 60 specialty stores. A smaller retail area is also within walking distance of the village. The bus service is only 250mtrs walk from the village with Allawah train station just over 3km away.